History might be told in black and white, but it's lived in colour. 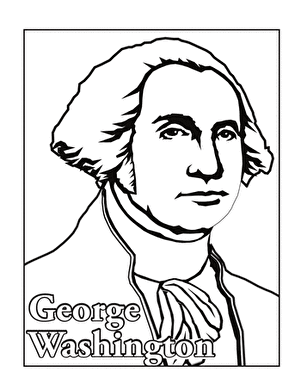 Give some colour to this picture of George Washington according to the colour-by-number guide. Introduce your first grader to art history with this famous portrait of George Washington. The Washington state bird is the Willow Goldfinch. First graders will learn fun facts and add colour to help bring the picture of the bird to life! The Washington, D.C. state bird is the Wood Thrush. First graders can learn fun facts and add colour to bring the picture of this bird to life!